Are you looking for this Data Retention Schedule to become compliant with the new GDPR Directive? We're here to help you become compliant by providing this personal data retention schedule. The GDPR comes with a set of Rules and Regulations for the protection of personal data inside and outside the European Union (EU) and affects all companies that save personal data from European citizens. 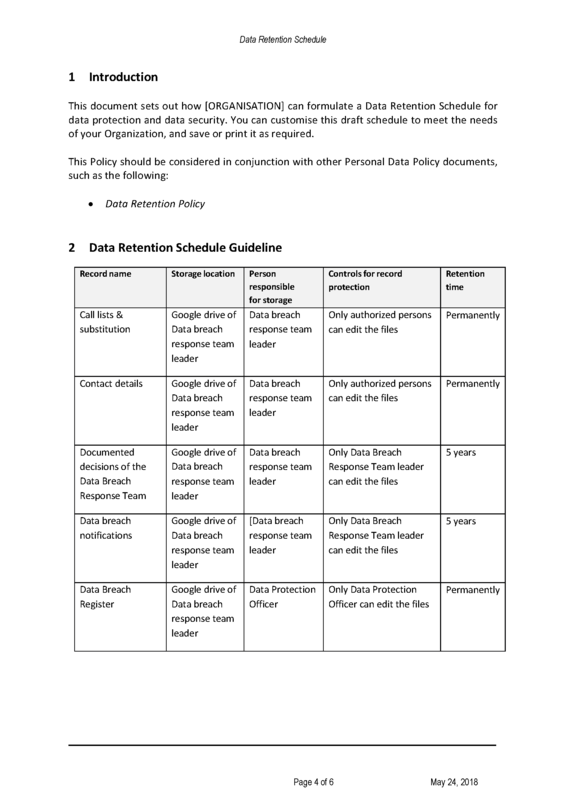 Download this Data Retention Schedule now or check out our fit-for-purpose GDPR Complete Compliance Kit templates here! The document(s) will be available to download immediately after purchase. It takes more than capital to swing business. You’ve got to have the A. I. D. degree to get by — Advertising, Initiative, and Dynamics. | Ren Mulford Jr.